Looking for a new third partner to split two full season tickets package . Each partner would have 1/3 share of two tickets for 27 games,(81 games divided by 3). Game Tickets would be drafted three partner group in March. 1/3 share (27 pairs) is $2214 which the invoice price. 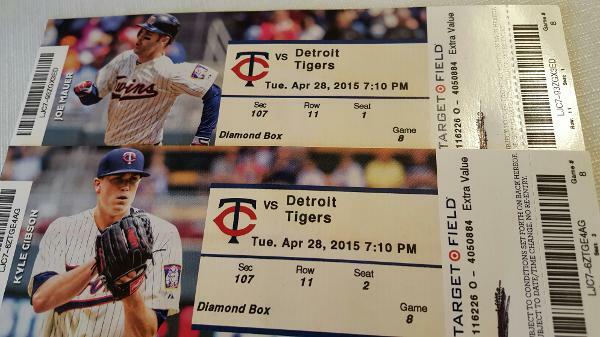 $82 per pair per game of $41 per ticket .Sec 107 Row 11 seat 1&2 AISLE SEATS. Great sightlines First base side. 2015 Tickets Photo below.